We provide shelter from the sun, rain and wind in artisan-crafted treehouses with hot and cold running water, electricity, a comfortable bed, a well-equipped kitchenette and a luxurious bath. 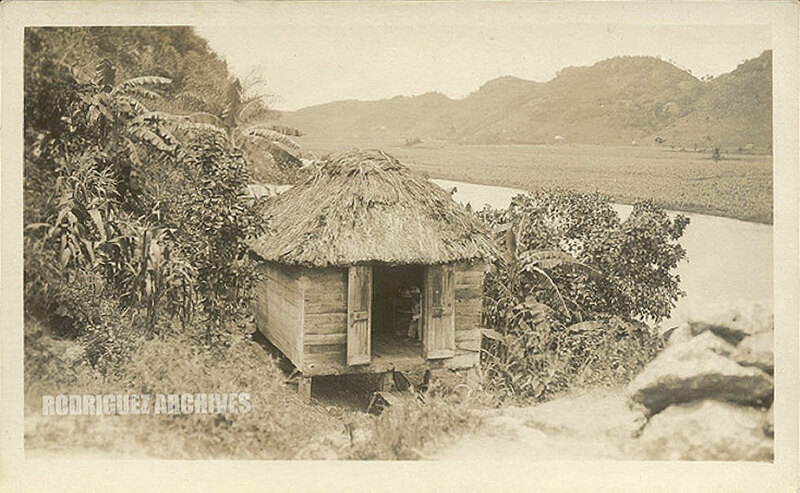 The treehouses at Yuquiyú are inspired by the small, wooden houses common in Puerto Rico over a century ago. Built on the side of a canyon, our humble dwellings float on pillars among the trees in one of the most scenic parts of the property — an outcropping of massive boulders. 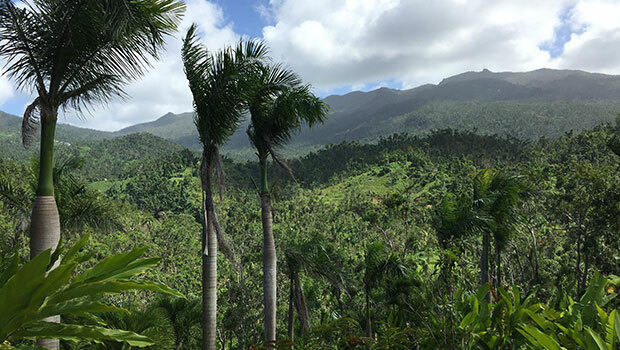 Above are the three terraces of our organic farm, below is a cascading river and beyond is the rainforest. Within a mango grove, La Cara de Indio (The Indian Face) is named after a Taino petroglyph not far from the property. 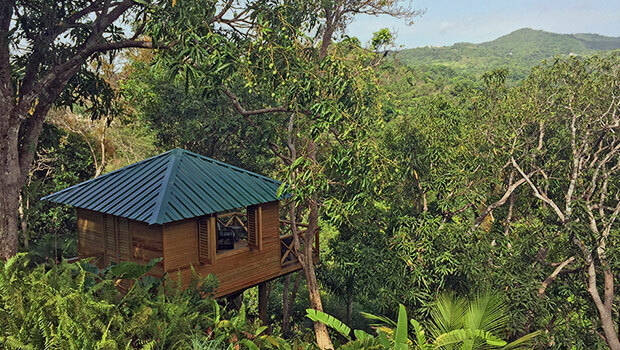 The treehouse features 144 square feet of interior space and an 84-square-foot balcony. Within a grove of Royal Palms and vanilla orchids, La Cascada (The Cascade) is named for the cascading river below. 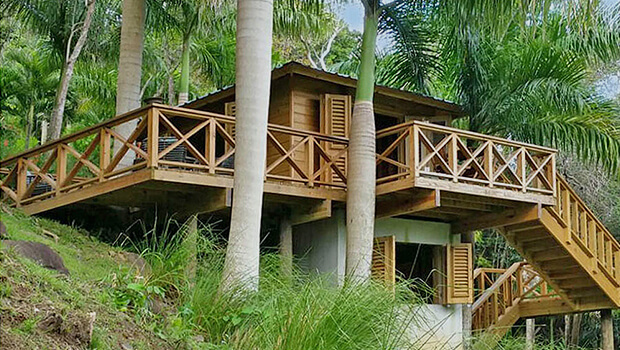 The treehouse features 121 square feet of interior space and a 240-square-foot balcony. Perched high above an outcropping of boulders, El Mirador (The Lookout) is named for its view of the rainforest peaks. The treehouse features 144 square feet of interior space and an 84-square-foot balcony. 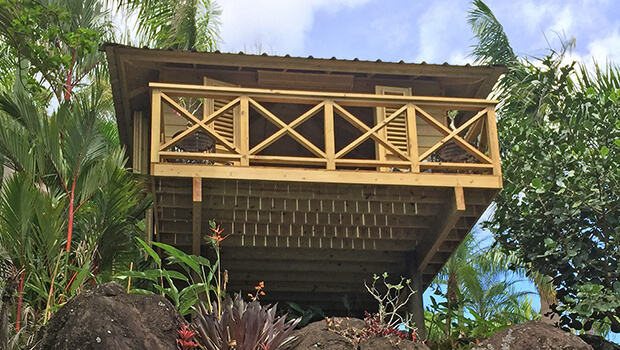 Surrounded by heliconias, El Amor (Love) is named, as Dante wrote, for “the love that moves the sun and the other stars.” The treehouse features 169 square feet of interior space and two 98-square-foot, covered balconies. El Amor is under construction and is not available.